This is cute afghan to use up your scraps. It uses single and double crochet and a shell pattern to create the look of hearts. 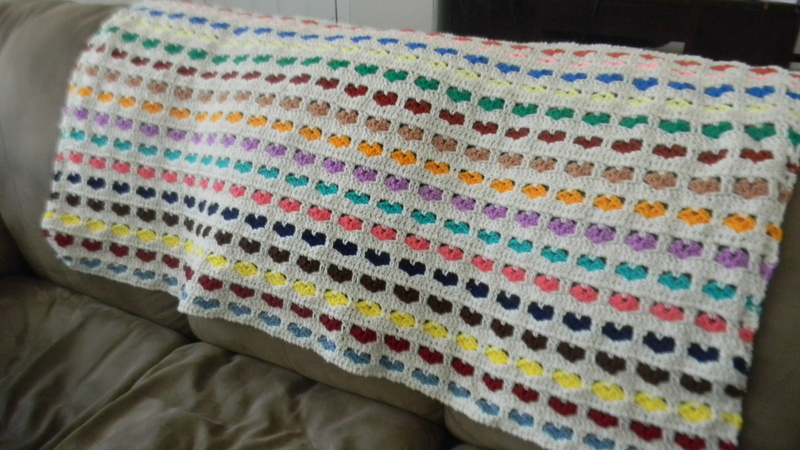 This would also be cute as a baby afghan done in pastels. 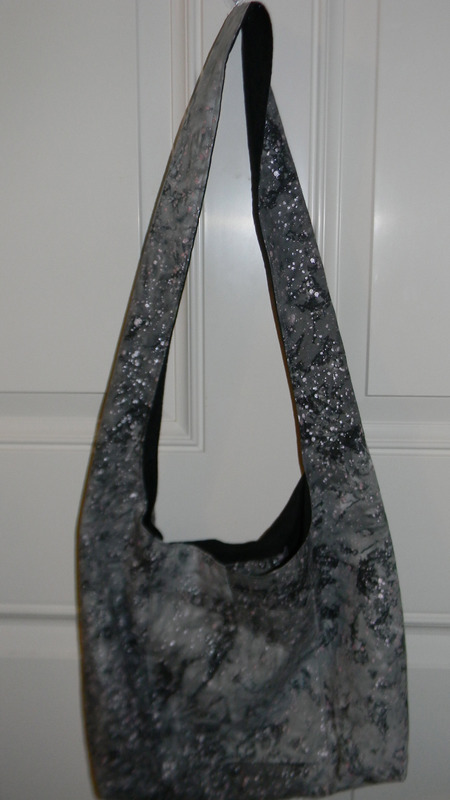 The pattern uses an H hook and the measurement is 42″ by 62″. Mine ended up being 48″ not 42″ and I made it 37″ wide. The website for the pattern can be found at Crochet World. There is another website that also lists this pattern in Dutch but gives a formula for making it into different sizes and has great pictures if you are a beginner. I will be making this afghan again using just 3 or 4 colors! Maybe shades of blue or green. This entry was posted in Afghan, Crafts, Crochet, Posts and tagged crochet afgahn, Free crochet afghan pattern, I love scraps afghan. Bookmark the permalink.